Today I’m welcoming Jon Waldman to the podcast. We’re digging into the male perspective when dealing with infertility. 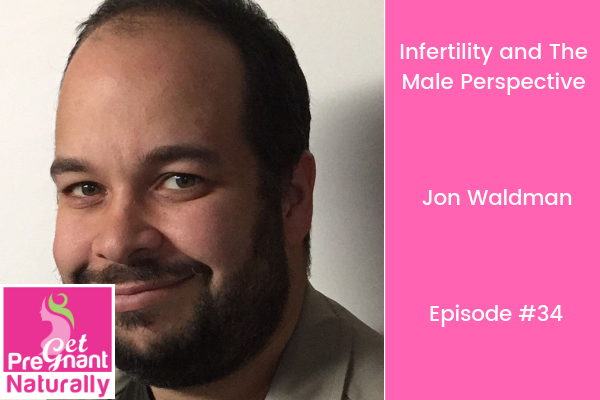 Jon Waldman is a fertility spokesperson and advocate. Jon has been an active member of Winnipeg’s infertility support network and has shared his story with local media. In June 2017, Jon gave a TEDx Talk on getting men to talk about infertility, which has led to him speaking with many individuals and couples, as well as additional speaking engagements. A member of the Fertility Matters Canada Board of Directors, Jon and his wife are infertility patients and had their daughter, Kaia, through IVF in 2015 after struggling to conceive for six years. This is such an important topic! Typically during infertility (okay yes this is a stereotype but…) women share their experience with close friends/family. We may join forums, facebook groups and generally reach out for support. For men this may not be the case. They may not tell anyone that they are going through infertility. This leads to isolation and compounds the shame they may already be feeling. Please share this powerful episode with the men in your life. Why men and women handle infertility differently. How to start a conversation with your partner. Why men often hold in their grief and what they can do to begin to open up. Tips to help men cope during the fertility journey.